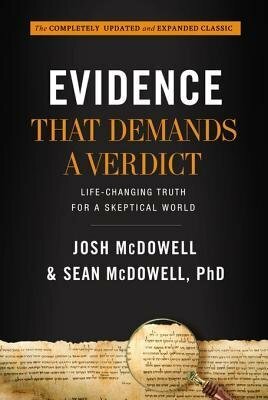 The section on the martyrdom of the apostles is unique in a book like this, since it was Sean McDowell’s area of research for his PhD dissertation. I do have a few complaints, however. In many places McDowell & son seem to embrace theological liberalism. For example, they include “perspectives” on inspiration that remove innerancy (though they make clear that they themselves believe in inerrancy). One chapter was about interpretations of Genesis. Some perspectives were included that made Gensesis into just plain myth. I would be yet more conservative than they when it comes to NT scholarship. I would date the Gospels earlier than they, for example. Of course, such a position, if present at all, is very rare in modern NT scholarship, so I didn’t expect it to be represented. A large section was on the Old Testament, whose study I know nothing of, so I can’t comment on that. Another section was about truth. I must admit, I skimmed and skipped most of this section because I found its contents rather obvious (though, I suppose, necessary these days), and because I’d already read similar things in a chapter of William Lane Craig’s Reasonable Faith.